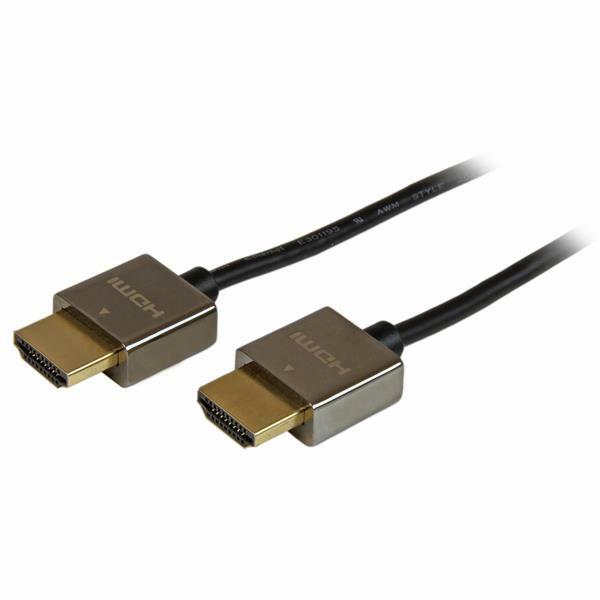 The HDPSMM2M Pro Series High Speed HDMI cable (2m) features 2 gold-plated HDMI (male) connectors inside a metal connector molding, providing durable, high quality connections with a stylish look that offer the perfect finish for your home theatre or professional A/V environment. 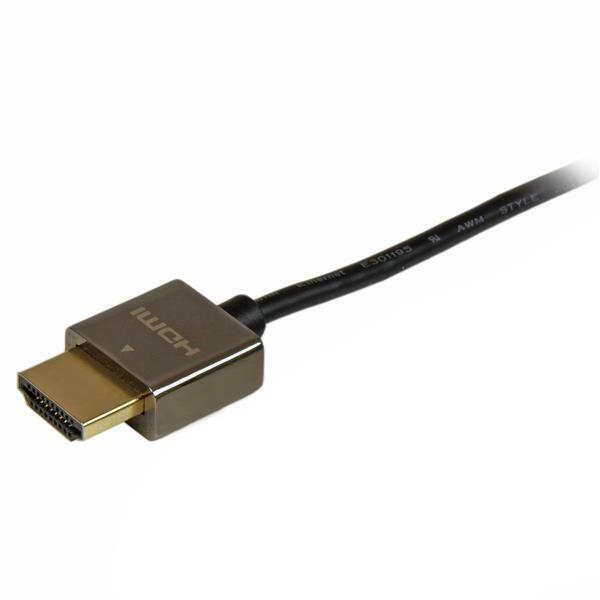 This 2-meter, lightweight HDMI cable also features thinner HDMI wire construction – roughly half the thickness of a regular 2m cable, which allows for a more flexible installation with minimal clutter. The HDPSMM2M is backed by StarTech.com's Lifetime Warranty.